Have you ever noticed that, even though the original bandwidth you are paying for is much higher, you cannot seem to reach it when you are streaming online, downloading files or enjoying your gaming activities? Well, if this is the case, it is really likely that Internet throttling is to blame. Speed and quality can be deteriorated on purpose by your Internet Service Provider (this is your ISP), without you knowing. And the worst part is that in most cases you will not even react, as you will think that you cannot do anything else to tackle with this issue as compared to dealing with Geo restrictions and location errors. On the bright side, ISP throttling can be dealt with effectively. You simply need to know where to look and what to do next. If you are wondering how you can address the problem and realize that your Internet connection speed and quality are not what they should be like, you can simply run a speed test like this. Alternatively, you can try out Glasnost. If the problem remains while you are streaming online (let’s say, watching a show on Netflix) or playing League of Legends or Heroes of the Storm, but goes away when you are doing something else on the web, then you have got your answer! How to avoid ISP throttling as a whole including Torrents, gaming and Netflix throttling etc. Luckily for you, the situation is not irreversible. This means that you can take matters into your own hands! 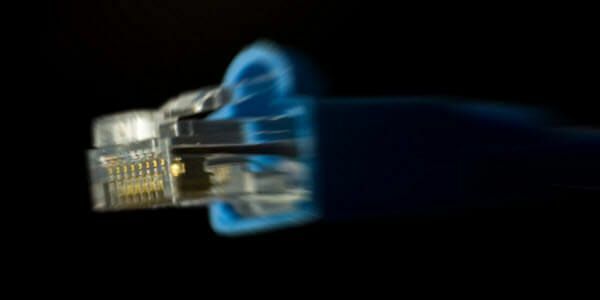 Of course, you can contact the support of your ISP – but, they will never admit doing what they do and they will blame temporary issues with the connection. If you wish to resolve the problem once and for all, you can do that via a VPN connection. The VPN is a Virtual Private Network and it can help you out towards getting the speed and bandwidth you deserve – and the quality you have been paying for! The VPN enables thorough encryption of your traffic. This means that your ISP will not be able to see where you are and what you do. As a result, the ISP will not throttle any of your traffic – they will not have the opportunity to identify where you are using your bandwidth. So, you are off the hook. Instead of simply connecting to your ISP server from your computer, you get the VPN server to interfere between your connection and the web. As simple as that and the result is perfect, every single time! This is how you can bypass Internet throttling, whether you are looking for a reliable way to enjoy Netflix or you want to play online with your friends and not get irritated by the endless lagging. Absolute encryption also means that you will never be noticed by any censorship applier (be it the government or any other institution, individual or business). In addition, the VPN is hackers’ worst nightmare – they do not get any information throughout your connection to the web! So, if you are about to watch a new blockbuster on Netflix or Hulu, connect to a remote VPN server first! You will notice a significant difference in the bandwidth offered to you. If you are about to connect to a gaming platform online, mask your IP with the help of a VPN server! You will see that you are going to play wonderfully, without any connectivity issues. If you wish to upload or download some important files, do so after having changed your IP – the VPN will save the day for you! Throttling is not what you deserve. Stop it and bypass Netflix, Bittorent and gaming issues caused by ISP throttling, as well as any other streaming problems and lag difficulties that might come up!